A new type of crafting and artistry has become popular recently, and as a hub of creativity, Bloomington has a wealth of makers and opportunities to build and buy hand-crafted works. Bloomington has happily grown into a hub for indie, handmade goods — think along the lines of a quirky cross-stitch or a little crochet cactus for a window sill or a monster-shaped pillow. But this isn’t just a place to find handmade goods for sale. Bloomington is also home to the artisans themselves, known as “makers” — independent artists whose work often falls somewhere in between fine arts and crafting. Shops, markets, festivals and collaborative work spaces allow the maker culture to flourish here. The best-known spot to scoop up indie goods is Gather :handmade shoppe & Co:, located on the downtown Square, with a fine-tuned mix of contemporary handmade pieces that have a modern, functional edge, mostly from the Midwest. Inside is the stuff of Etsy dreams, but in a brick-and-mortar shop. 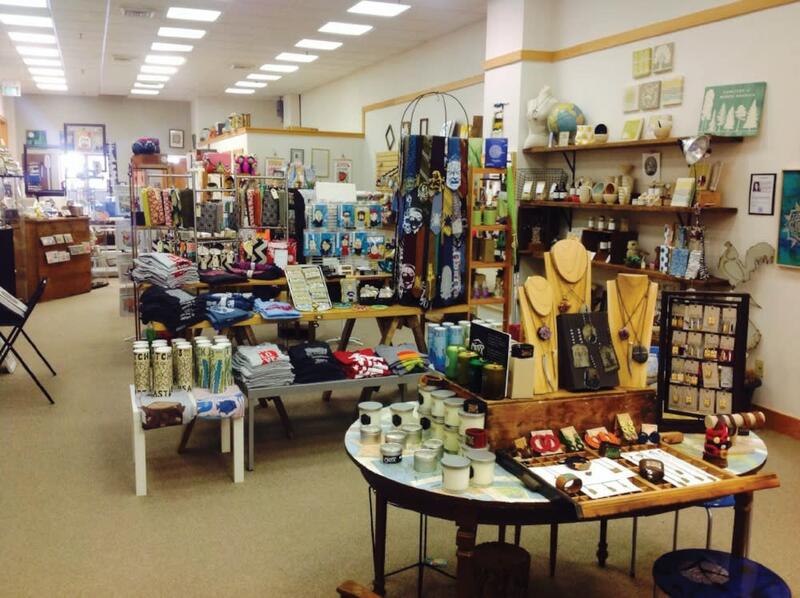 You’ll find a mix of merchandise from a cute illustration of Indiana to handmade soaps to pretty pottery, as well as other home decor, jewelry, wall art, toys, apparel and gifts, with a good dose of Indiana and Bloomington specific items. bi-monthly “crafternoons.” “The makers in Bloomington really love our town,” says Halliday. “We really love our community, and we’re really active in our community.” Halliday is an artist herself who runs Conduit Press, crafting blank journals from recycled paper, reclaimed leather and found objects, and also hollowed-out hardbound books for storing various items. Meanwhile, co-working spaces like Artisan Alley and Bloominglabs add a manufacturing and technology spin to the makers scene, and regularly open up to the public. Bloominglabs is a maker space where members and guests can meet up monthly to share tools and ideas, and socialize with other makers. There isn’t a certain type of “product” they build; it’s all about the creative process of making. 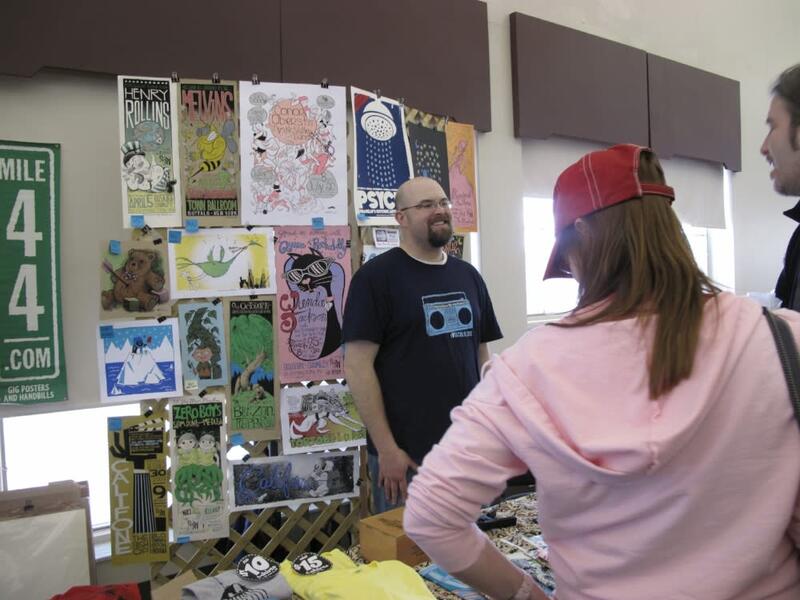 They also produce the annual Makevention event, where attendees can see demonstrations, try their hand at making, and purchase items from makers. Makers can also be found working out of places like the I Fell building downtown at 4th and Rogers. Bloomington preservationist Cynthia Brubaker restored a historic car dealership from the 1920s and turned it into a collaborative workspace that houses artists, including jewelers and painters. 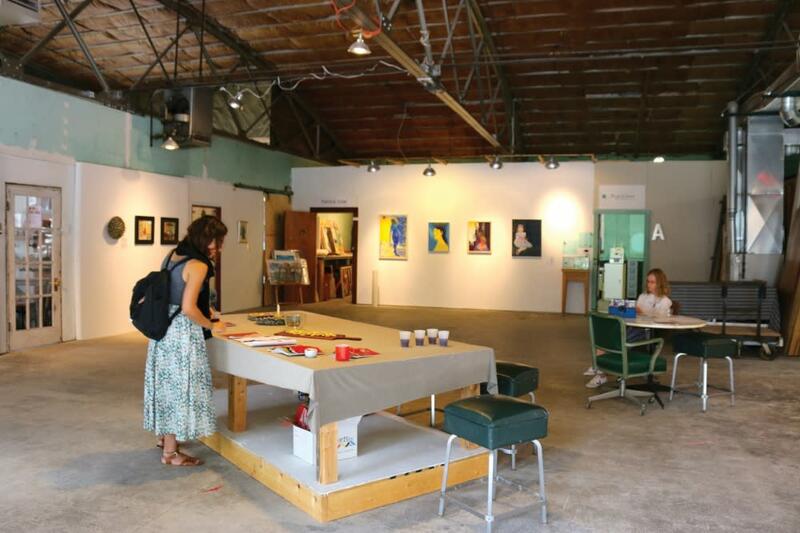 I Fell has 14 spots for artists to rent, plus a communal co-make space and two galleries that are open to the public on First Fridays, which allows enterprising artists and makers to sell their pieces. “It’s key to have art that people find accessible, in terms of looking at it and being able to own it, too,” says Brubaker, who is a watercolor artist. Husband and wife Joshua and Cecily Allen make up this artistic collaboration inspired by nature, fantasy and a love of storytelling. He’s an illustrator with a whimsical take on animals and surreal creatures, and she’s a jeweler whose hammered sterling necklaces, earrings and bracelets have an ethereal quality. 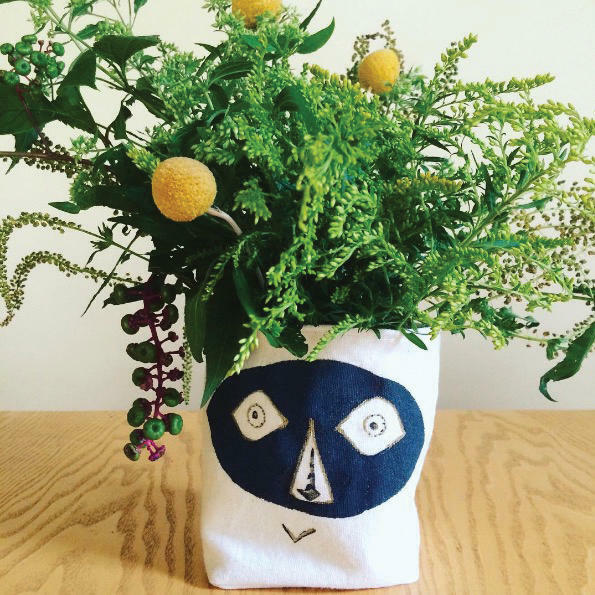 Houseplant enthusiast Kris Robinson shares the love by making new and repurposed vessels for plants. These sweet little containers — think rustic concrete pots, wrapped macrame hangers, canvas bags — are perfect for filling with succulents and small plants on a window sill. Screenprinter Jim Bek makes eco-friendly, retro-looking Ts with simple sayings, like “Read Harper Lee/Listen to John Prine/Be a Good Human Being” and “Pretty Good Dad.” The touch of dry humor (and water-based ink) is what makes these so loveable. These hand-crafted wooden jigsaw puzzles are a far cry from the puzzles you’ll find on the shelves at a big-box store. Artist Marc Tschida crafts them from birch and oak lumber, and cuts each piece one at a time using a scroll saw. Many are Bloomington-themed, offering iconic views of the city and Indiana University’s campus. Adorably illustrated toys and games by Jean Elise will remind you of simpler times: Cloth play money, mix-and-match stacking blocks, a Young Naturalist’s Kit with a twig pencil, notebook, magnifying glass and box for storing specimens. She even makes a few treats for grown-ups, like Indiana beer coasters. This indie handmade market happens twice a year: In the spring (2017 date TBA) at Fountain Square Mall and in the fall, always the 2nd week of November (Nov. 11, 2017) at the Monroe Convention Center. The November market is the larger of the two, featuring 70+ juried vendors. 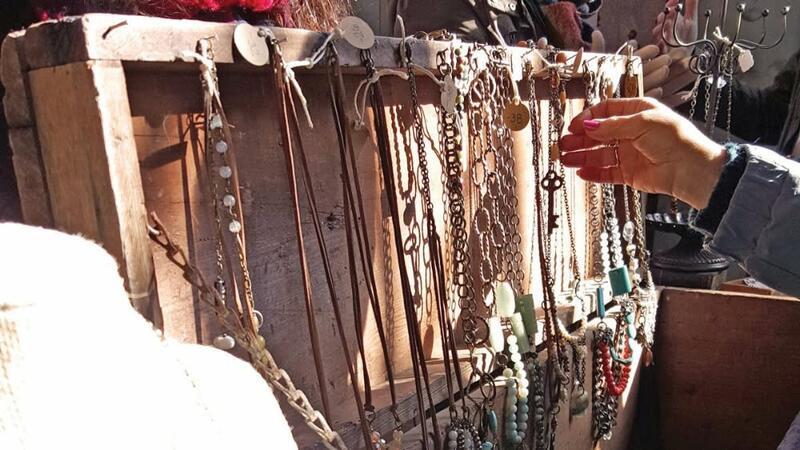 You’ll find makers goods plus antique and vintage items at this market, which happens four times a year. Local and regional artists convene at the Bloomington Farmers’ Market the second Saturday of each month during market season. An annual celebration of the do-it-yourself spirit that brings together local and regional makers including crafters, inventors, tinkerers, builders, designers, gadgeteers, artists, engineers, scientists, and everything in between. A place for artists of all kinds to work together, plus ongoing Art Market & Open Studios events and workshops.